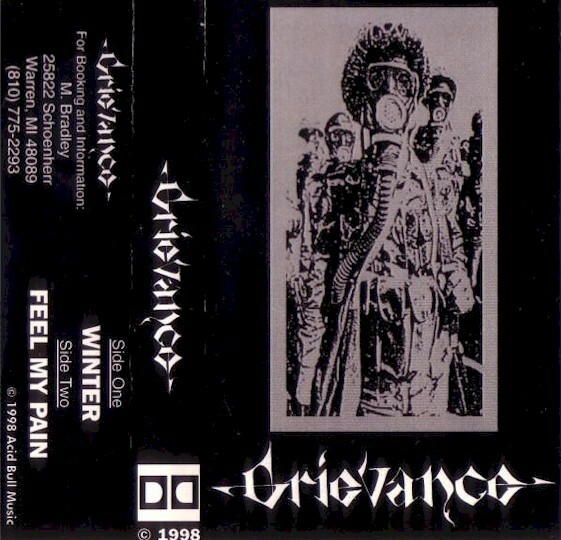 Grievance started in late 1996. Through out our short 2 year existence. We managed to play some killer shows opening for Suffocation,Deicide,6 Feet Under, Dark Funeral, Morbid Angel, and many cool local groups. We recorded Two demos. Feel my pain in 1997, and Resist or Serve 1998. "Resist or Serve" was never released the band had broke up shortly after recording it. Feel my pain was released 3 times. Version 1. Xeroxed covers. No lyrics. Feel my pain was released 3 times. Version 2. Xeroxed covers. No lyrics. Feel my pain was released 3 times. Version 3. 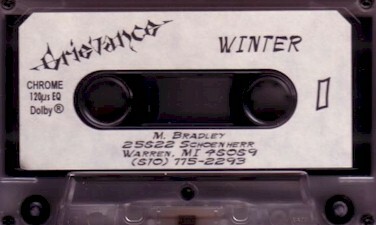 Pro covers and tapes.